The attachment of shame and disgust has accompanied periods for a very long time. This is where the reason for the existence of the human race is given no importance. How many more decades will go by until women will bleed without the easy availability of pads or tampons to absorb their blood? Why, in this daunting yet natural journey are they alone with little or no support? 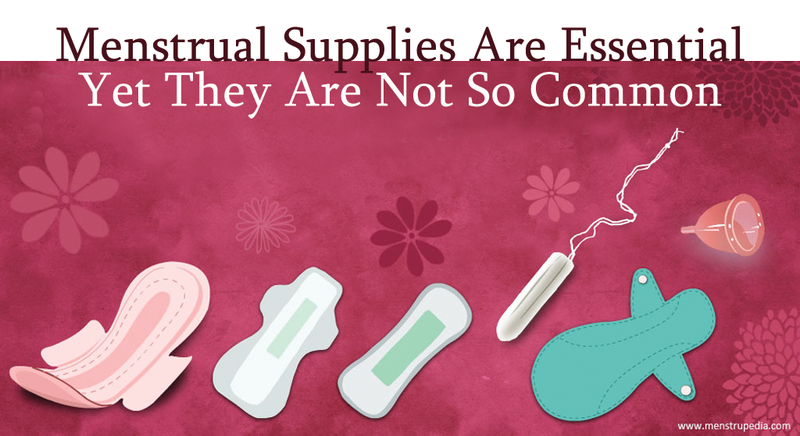 As far as I can remember, period supplies have upgraded from the usage of clothes to pads and then to tampons. So the change is certainly dramatic but still, the embarrassed eyes of girls asking for pads, followed by the trembling hands of shopkeepers while dispatching sanitary napkins in huge black plastic bags wrapped inside with newspaper, is still not a distant memory. References to pads are made with hushed tones, as if you are sharing the secret formula to making atomic bombs. Making menstrual supplies accessible is the need of the hour which is not yet adequately addressed. Where we are progressing with a rapid pace in every field, the most basic issue of our lives is not even talked about. The uninformed arrival of these bleeding guests is what every woman dreads for the entire month. Usually, sanitary supplies are made to restrict the occurrences of any uncomfortable instances but yet there are times when you are not ready to face the arrival of these demanding guests. Your face turns red coupled with unavoidable shame and awkwardness. Why is it that in washrooms, there is no facility for sanitary napkins and tampons? I had a revelatory moment when I saw an overflow of tampons and napkins in a ladies’ washroom once upon my visit to one of the offices in London where I saw menstrual supplies in abundance, available as freely as toilet paper. That forced me to think, why are menstrual supplies so limited in its availability in India and why are we notable to chart out proper plans to ensure the availability of sanitary supplies which could positively affect productivity at the workplace for female employees? I sometimes wonder, would men be receiving the same treatment, if in this case they were at the receiving end? The discussion remains the same. The taboo associated with periods and menstrual supplies makes it a growing issue, thereby making it unnecessarily shameful and awkward. If we start to accept this natural phenomenon and take proper steps to ensure the availability of pads, it could prove to be helpful for women to face periods without much hassle. The common case of young mothers stealing tampons from local medical stores is what drags me into wondering, why are these issues are not addressed at the ground level? Why did the young lady feel compelled to steal something so fundamental to human need? To compensate for the price per tampon or pad, women’s health is compromised. This exercises a negative impact on women’s future when they get pregnant as there are higher chances of suffering from reproductive problems due to repeated vaginal infections faced as a result of consistently unhealthy conditions. There are many women who have undergone humiliating moments at the workplace caused due to the inaccessibility of sanitary napkins. When these sometimes uninvited visitors paid visit, they were not prepared to tackle the bleeding issue all by themselves. There were many instances faced by women once or twice on their journey to womanhood where they were embarrassed due to the unavailability of menstrual supplies. However, now there are period tracking apps that you may download on your phone that could be helpful.The problem with periods will always be a rising concern with women. Thequick fix is to ensure the availability ofmenstrual supplies anytime andanywhere. There are many women whoare caught up in similar situations where there happened to be no accessibility to pads and then they had to rely on toilet paperstuffed between their legs to continue with rest of the day. There have been cases of young girls missing school (and this is not uncommon as soon as they hit puberty)in order to avoid any uncomfortable situation in front of their male classmates. 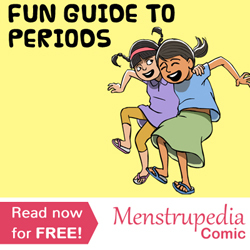 Young girls are not prepared to face their schoolpeers due to the stigma attached inside of their fragile brains since childhoodagainst menstruation, coupled with the non-availability of proper menstrual supplieswhich makes the situation much worse. Running out of options, they too must use old clothes, newspaper rags, tissuesand such sort of material to address their bleeding, which is not only unhygienic but too dangerous for reproductive health. The most affected is the rural populationwhere there is little or no availability of pads or awareness about them. Many young girls are opting to stay at home to avoid bleeding patcheson their uniforms.Absence from school leads to a decline in grades which negatively affects their growth. The decade-old issue stays the same. The stigma of various kinds have limited us from taking proper initiatives and thereby has restricted us from addressing something so fundamental. However, there are various initiatives taken by organisations in order to supply free menstrual supplies to people coming from low earning backgrounds. Steps are silently made but the progress is real. Slowly and steadily, conditions are transforming for the better and girls and women are a part of this change. Many also have the back end support of their friends and family who acknowledge their struggles. 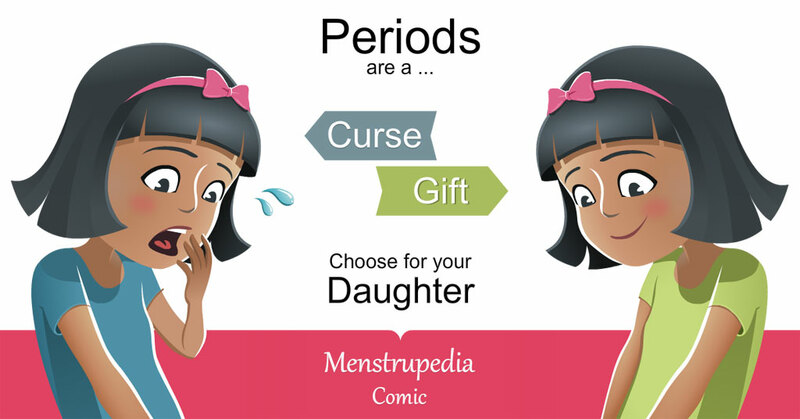 Periods are no longer as euphemised or belittled. They are many such instances which have helped dispel this age-old practice of shame.Let us teach our daughters to embrace womanhood with grace and not with shame and awkwardness. Rashmi is based in Mumbai and writes about women’s health awareness on several health and social blogs. She works with CURRAE Hospital for creating awareness among the masses in women’s health.